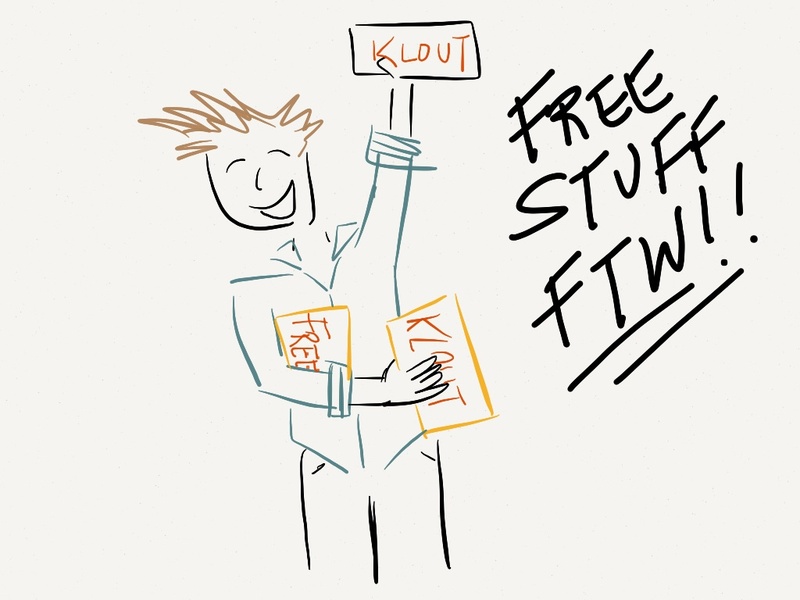 Klout Perks – Does the bribery work? 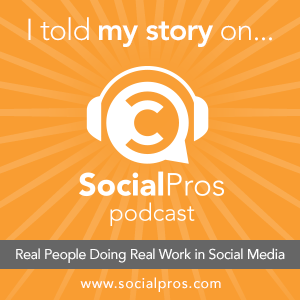 Ask most accomplished digital marketers about Klout and the vast majority of them will scoff. “Klout scores don’t mean anything.” “The scoring system is flawed and ridiculous.” These are the kind of responses you’ll likely hear. And they’re right. Once you’ve received your first “Klout thinks you’re influential in [something you’ve never, ever talked about],” you’ll know that there isn’t a whole lot of deep science behind the ranking system. So the question remains: Why is Klout still around? The answer is twofold. One, we are a culture that loves an easily identifiable number, whether it actually holds any real validity or not. We love ratings, star systems, and any easy way to rank people, things, or anything we can assign a value. Especially in these times of overbearing multitasking in our business and personal lives, the easier we can dismiss that which isn’t important, the quicker we can get on to our next task at hand. Two, we are a culture that loves free stuff, regardless of whether we need it or not. I’m most guilty of this myself. I’ll admit that the real and only reason I continue to monitor Klout is that I love to get free stuff and revel in the possibility of gaining early access to beta testing apps and networks. The only fuel behind why I’d ever fret over my score is the concern that I’d fall under some unknown threshold and miss out on some Perk not yet known to me. I received my first physical perk in the mail a few weeks ago. It was some iced tea samples for a big brand. They gave me a pretty ridiculous amount of samples, which is kind of nice, but it’s going to take me so long to get through them I’m not sure if and when I’ll ever have to buy any of it. The tea was alright, a little too sweet for me, but I’ll drink it throughout the summer. I received my second physical perk this week. It was a sneak peek at the new season of a TV show. Here’s the thing. I don’t have cable, so I won’t be able to watch it once it airs anyway. I also misread the Perk, not realizing that it was season 2, so I’d be lost to start with. Did the fact that I received these two items turn me into a brand advocate? No. If the right thing came along, however, it just might, and I think that’s what brands are banking on. For example, in a post a couple weeks ago, I talked about a Klout Perk for Learni.st, a Pinterest style network that allows you the share and learn things within your community, which I received early access to. I dug the network and the idea behind it, and I actually have even invited a few people to sign up for it while they’re in live beta testing. The creators of Learni.st answered and acknowledged all of my questions, checked out my blog post when I wrote about it, and were excited to have me participating. In this instance, I became an advocate for their product because I liked it and actually felt like I was part of an exclusive group. I didn’t feel so exclusive drinking a glass of tea from a brand I was already well familiar with and I knew was quite established. That’s where I think the power in these Klout Perks really lies. Creating loyalties with brands you may have never heard of, or up-and-coming startups and apps where the feedback of a real and invested community can take a company and its designers to the next level of innovation and creativity. So, what do you think? Does ‘rewarding’ those with Klout scores above a certain threshold really get a brand anywhere? 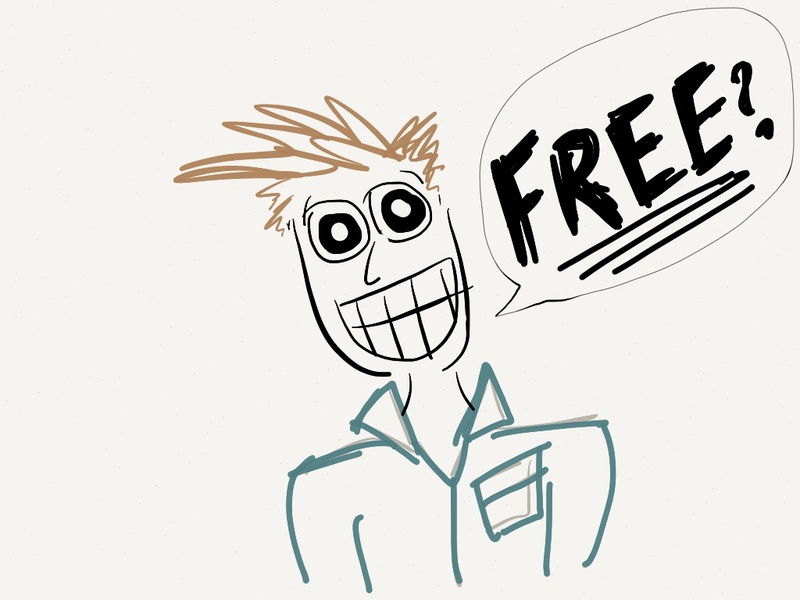 Do you feel that being rewarded with a freebie would get you behind a brand, or does it take something a little more for you to become an advocate? Let me know below with your comments. Thanks for reading. Now go get your social on! Author robziePosted on June 18, 2012 Categories Social MediaTags advocacy, advocate, brand, brands, customers, klout, Learni.st, perks, rating, score, social media, WSWCSM1 Comment on Klout Perks – Does the bribery work?